CRS Specialties Inc., was established in 1992 in Welland, Ontario Canada as a manufacturer of rebar fabrication equipment including; shearlines, table benders, radius benders, spiral machines and several customized machines. Shortly after CRS’s inception, we became the North American service agent for MEP SpA. We carrie a complete line of inventory available for next day delivery and have the technical expertise to provide support on all MEP products. CRS Specialties Inc. remains today, a second generation, fully independent, Canadian family owned business. It is a true family entrepreneurial environment – an environment that supports a committed, experienced, and dedicated staff of industry professionals who provide our customers with innovative, high quality equipment, and exceptional customer service. At CRS Specialties Inc., our goal is to understand your company’s needs, and to manufacture and deliver equipment that will surpass your expectations. 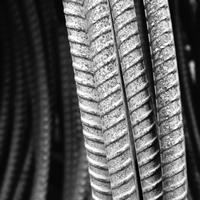 The exceptional quality & service we extend to you, the customer, is based on over 40 years of practical experience in the rebar fabrication field. It is our commitment to continually provide our customers with technically advanced products with efficiency, quality and dependability, firmly in mind. We have earned our solid reputation by our past performance and by the honor of longstanding customer relationships. Our mission is simple: to be valued by you, our customer, as an indispensable tool and key resource to your operations. We have a common goal, and our future depends on your success. CRS Specialties Inc. – Reinforcing your equipment needs since ’92.